Here’s a 1 minute and 55 seconds Denture Care Tips From Experts video. See full transcript below. Even if they are made of highly durable materials, it is still important to take good care of your dentures. Doing so helps you ensure that your dentures maintain their utmost fit, feel, and look for a long time. That is why here at West End Denture Clinic, we see to it that we can provide you with a comprehensive guide to help you keep your dentures in perfect condition. You should make sure that you continue to observe proper oral hygiene. Following a good oral hygiene routine is just as essential to your dentures as it is for your natural teeth. Make sure that you clean your mouth and your dentures daily to get rid and prevent plaque buildup. Also, it is crucial that you visit your reliable dental prosthetist regularly so that we can check on your dentures. For more information on taking care of your dentures, consult your trusted denture experts here at West End Denture Clinic. We aim to give you proper guidance when it comes to your dentures so that you can enjoy the many advantages that it brings for a long time. 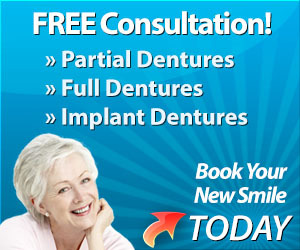 Call us today on (07) 3844 0944 or simply book an appointment online to claim your FREE denture consultation.